The Ford Fiesta has been crowned The Telegraph’s Car of the Year, beating a variety of more expensive models. The accolade follows voting by Telegraph readers to decide their favourite cars in seven categories in the run-up to the newspaper and website‘s Festival of Motoring last week. After reader votes had been counted, the Telegraph’s motoring experts decided which category winner deserved the Telegraph’s overall Car of the Year award. Steve Huntingford, the Telegraph’s head of motoring, said: “It’s easy to see why it is so popular – it’s a sensational all-rounder. 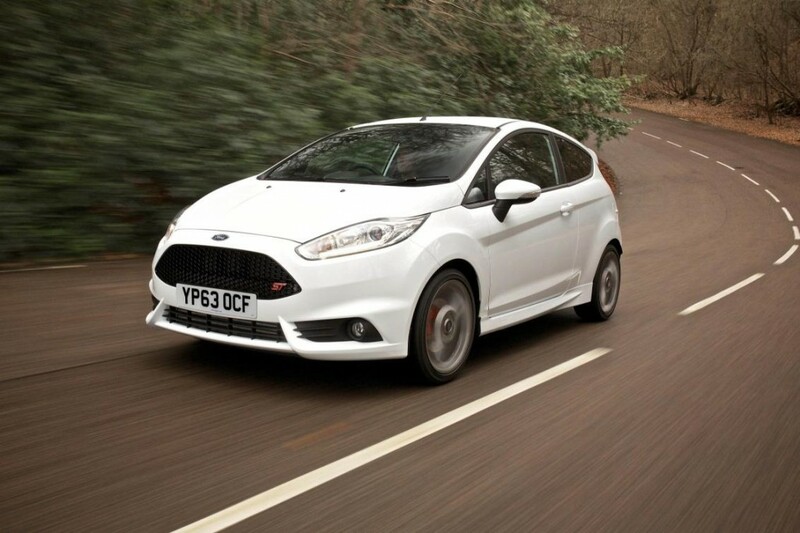 “There is no small hatchback that you can buy that’s as enjoyable to drive as the Fiesta. It feels wonderfully sharp and agile, which is obviously great news on a winding back road. But it is also a pleasure on the mundane journeys that most of us do every day, thanks to its beautifully weighted controls, comfortable ride and good visibility. Over 120,000 new car buyers in the UK chose Ford Fiestas last year, sealing the award winner a fifth successive year as the nation’s top-selling car. Standard features on all models include Easy Fuel, which prevents filling up with the wrong type of fuel; MyKey, which enables parents to restrict speed, audio volume and other settings before loaning the car to young or inexperienced drivers, and eye-catching daytime running lights to be seen in all conditions. The hot 139mph ST this year added a new ST3 series to its exhilarating line-up, which has seen demand running 20 per cent higher than forecast for the 182PS hot hatch. The acclaimed 2014 range beat the VW Golf, Range Rover Evoque, Jaguar XF, Bentley Mulsanne, Toyota GT86 and Tesla Model S to take the Telegraph Car of the Year crown. Mark Ovenden, Ford Britain chairman and managing director, said: “The readers of the UK’s top-selling quality paper and its website, along with The Telegraph’s motoring team made a discerning choice in naming it as their Car of the Year. Why are British cars becoming more popular? This entry was posted in Awards and Reviews, News and Views, Popular Cars, Reports and Surveys, Small Car and tagged Car of the Year, ford, Ford Fiesta, survey by David Petherick. Bookmark the permalink.